I couldn’t resist creating a design for Spoonflower’s latest Design of the Week contest, “Bedtime”. I have a rather checkered history with sleep – I’ve watched more than my share of infomercials, long-syndicated tv shows and forgotten movies while the rest of the world is dreaming – so my motif came to me pretty quickly. As it turns out, I was not the only designer who used sheep in my design entry, there must be a lot of insomniacs out there. Although there are several sheep designs, it’s interesting to see how different each one is and to see what other designers are doing on Spoonflower. 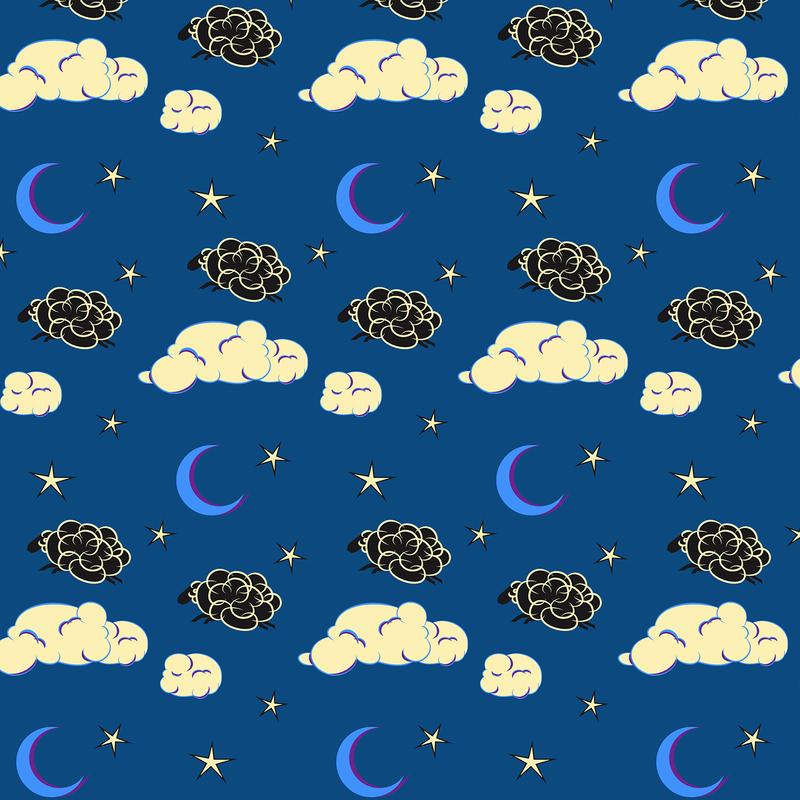 To vote for my design, or any others that you like, go to Spoonflower.com and find my design “Counting Sheep”. The winner will be announced next Thursday afternoon.